The event takes place October 12 at Brave New Workshop. 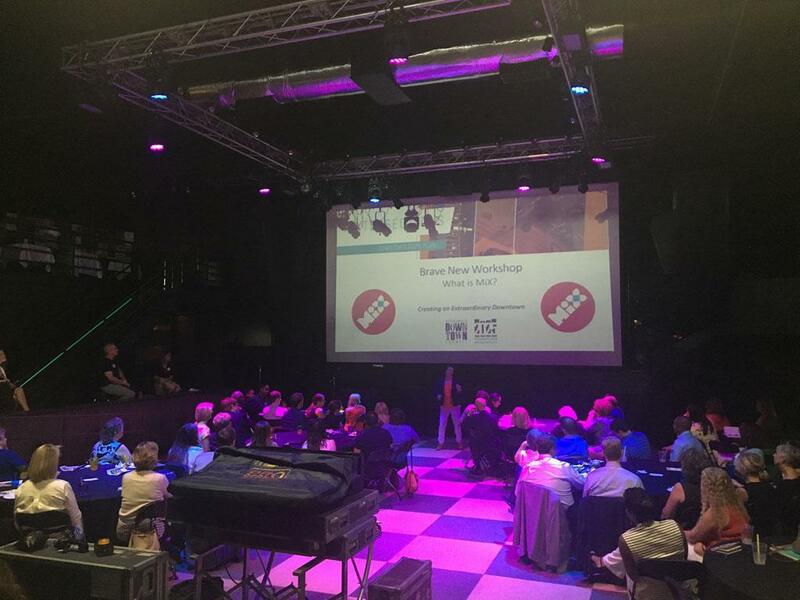 The Minneapolis Idea eXchange officially announced it will return to downtown Minneapolis on Wednesday, October 12 for its upcoming 2016 event at Brave New Workshop. 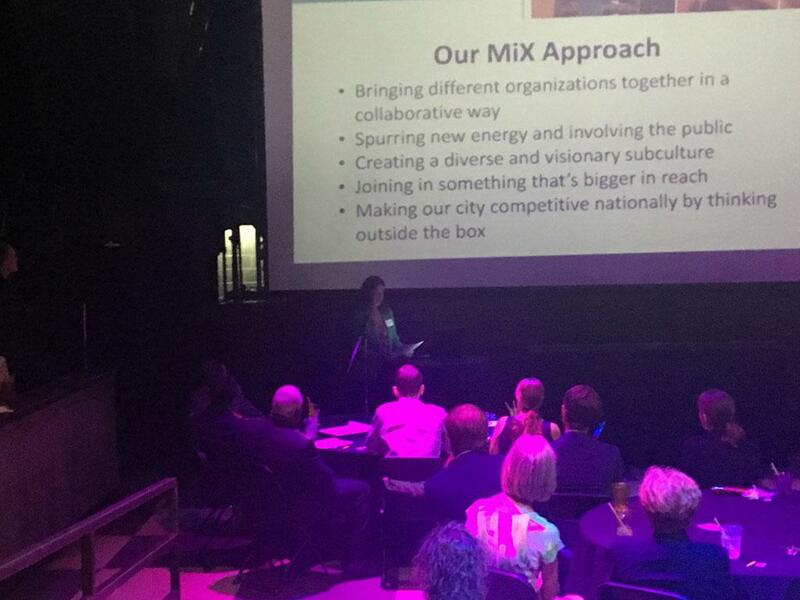 MiX was highlighted at the Minneapolis Downtown Council’s Intersections: The Downtown 2025 Plan Quarterly Forum on Tuesday at First Avenue, and during the program MiX co-chair Jennifer Gilhoi outlined what the festival of ideas is and why it’s important to a vibrant and thriving downtown environment. MiX is one of 10 initiatives in the 2025 Plan, which aims to create an extraordinary downtown through development, downtown experience, greening, transportation, ending street homelessness and building a festival of ideas that blends cultures, stirs thoughts and kindles solutions. 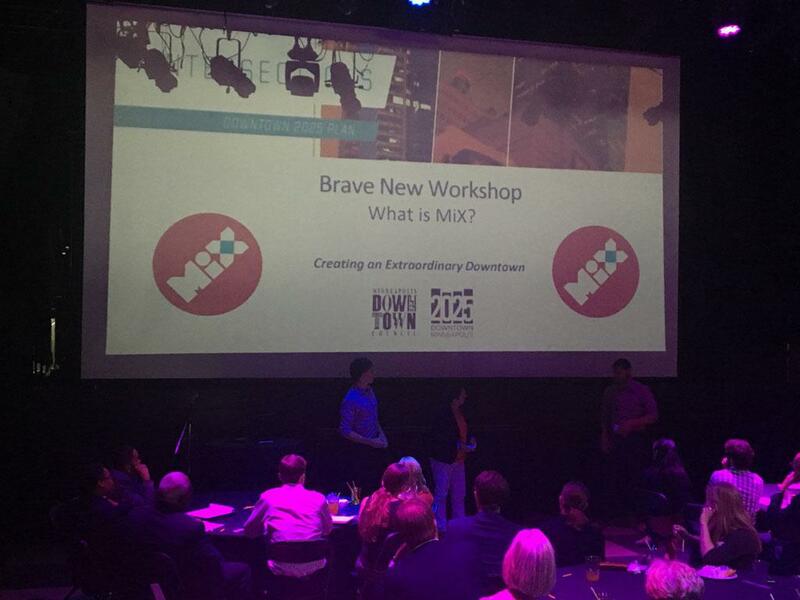 This year’s MiX event on October 12 will take place at Brave New Workshop, and during Tuesday’s event members of the Brave New Workshop crew provided an improvisation session using audience-gathered ideas to perform a skit. It served as a mini-demo of what improv can do to get us thinking out of the box. It’s exactly the type of mindset MiX want to create as it brings people together in unconventional and interactive ways to solve problems. MiX launched in 2014 and teamed with the Westminster Presbyterian Church’s Town Hall Forum in 2015, featuring a series of three speakers over the course of five days. 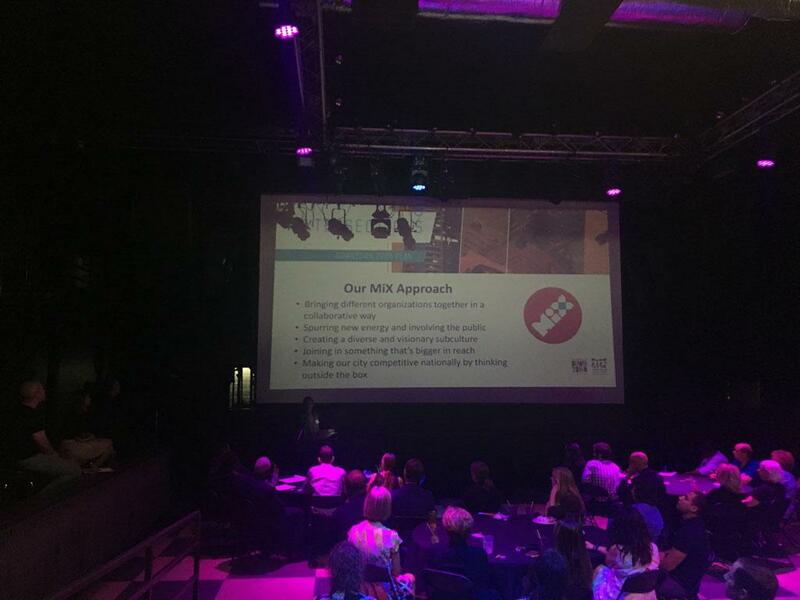 MiX 2016 will be moving into a format that is closely tied to the festival of ideas’ original vision. It will include improv by John Sweeney and his team at Brave New Workshop, inspired innovation from leaders who will share their stories about issues and impact, and interactivity as Tom Fisher—design thinking expert—guides us through the design thinking process. Design thinking is when everyone has ideas and brings them to the table – it’s collaboration without judgment. It’s a process more than an outcome. It’s less about knowledge and more about experiences. MIX highly values bringing people together and viewing them all as the experts – experts of place, and experts of the experience they want to have. When we create this open atmosphere, we ask them to dig deep to figure out what they can bring to the table. Their contribution is their vested interest in the change they want to see. A large part of creating the innovative ideas that MiX seeks is changing our mindsets and approaches to problem-solving. During the MiX event on October 12th, break out groups led by Fisher will try their hand at design thinking surrounding transportation, education, arts and culture, economics and design and construction. MiX strives to bring people together to initiate conversation and sharing ideas in a real, experiential way to create a stronger more vibrant community that churns out innovative ideas for growth and development. We ask: What if we engaged our community and solved problems by applying design thinking to more intangible areas like education, public health and the economy? It would be powerful. Do you have ideas to contribute? Join us in creating the Power of Ideas at MiX 2016 on October 12th! ©2019 2025 MiX / SportsEngine. All Rights Reserved.